Howdy readers, I’m back. It’s been an interesting few months to say the very least, but needless to say I wasn’t doing as much cooking as I do normally. And when I was cooking, I was feeling stuck in a little bit of a rut. Not as if there aren’t endless sources of inspiration in books and online, I just wasn’t in that head space. It was hard to be out of the groove, but as I’ve started feeling more like myself, getting back into the kitchen and just experimenting has made me really happy again. I’ve been on a soup and stew kick this week. That might seem like a little bit of a head-scratcher for this time of year, but if you were in Arlington this week, it’s been in the 50s, overcast, and rainy. So my local friends might understand why I’ve wanted nothing but warming foods. This soup is spicy-sweet, creamy, and really delicious. It can also be made vegan if you swap out the chicken stock for vegetable stock or even water with a stick of kombu in it. Let’s have at it! 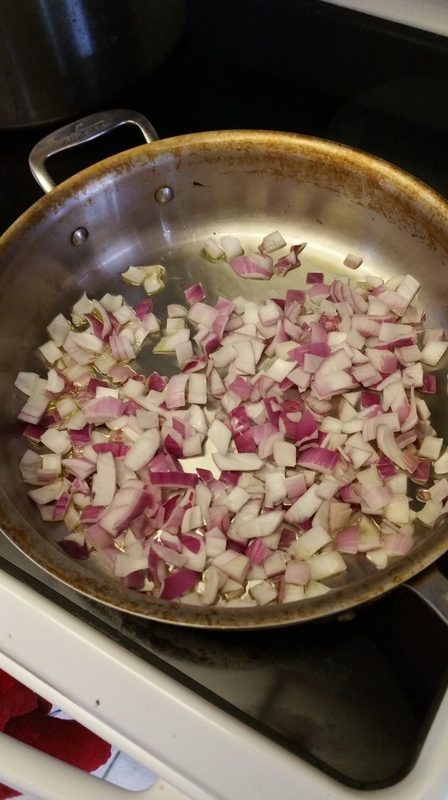 Heat the olive oil in a deep, straight-sided saute pan over medium heat. 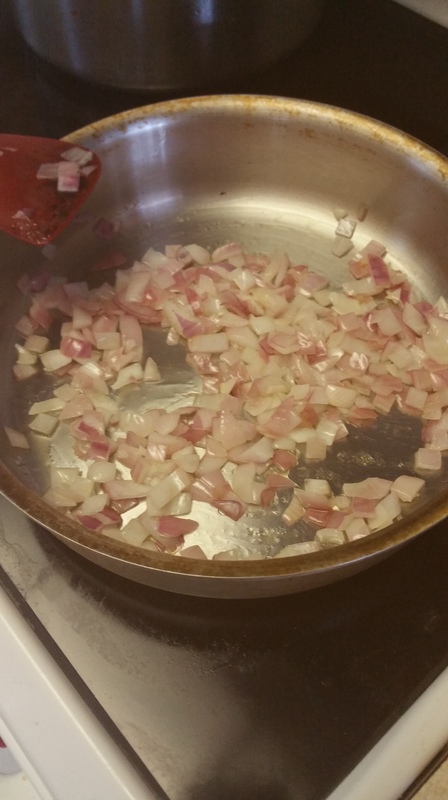 Add the onions and cook until soft and a bit sweet. 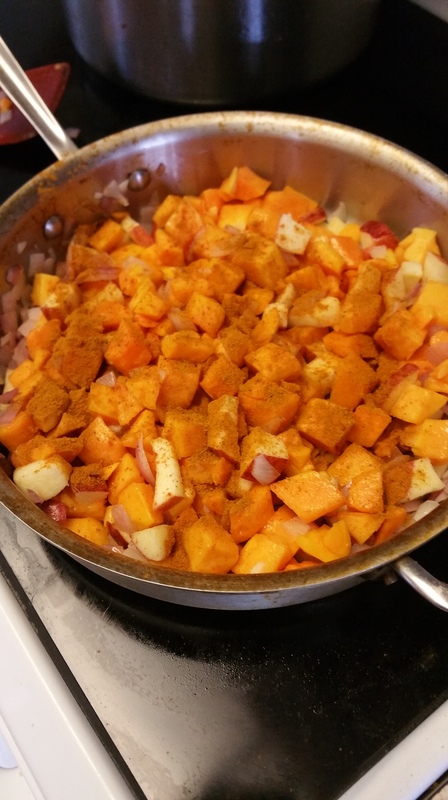 Add the chopped apple, squash, and spices to the pan and cook everything over medium heat for 5-7 minutes or until the squash and apples begin to cook down and release liquid. Add enough broth to the pan to cover the vegetables and fruit, then turn the heat to high and bring to a boil. Then reduce the heat back to medium and allow the soup to simmer, uncovered, until the squash is tender. The liquid will also start to reduce. Using a traditional or immersion blender, puree the soup. If using a countertop blender, you may need to do so in batches to keep the hot liquid in check. 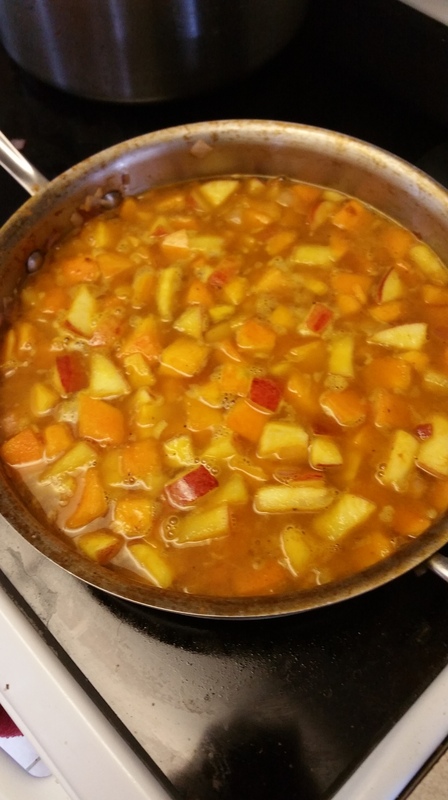 Once the soup is pureed, add the coconut milk and blend it in. Check the seasoning, add salt and pepper as needed, and then blend again. 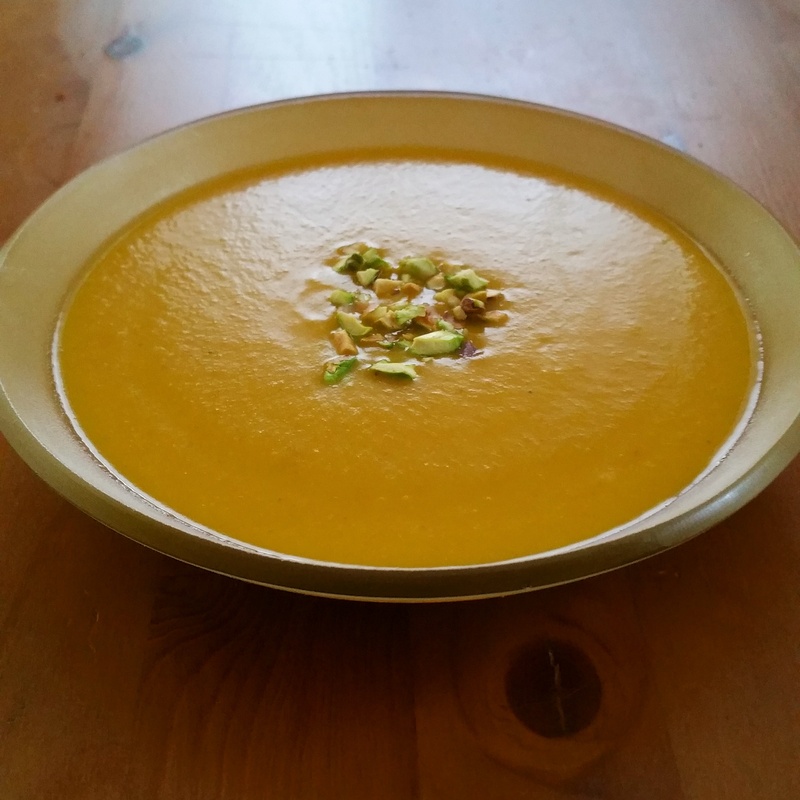 Serve hot with the toasted pistachio garnish and enjoy!